Did you miss the boat in 2018? 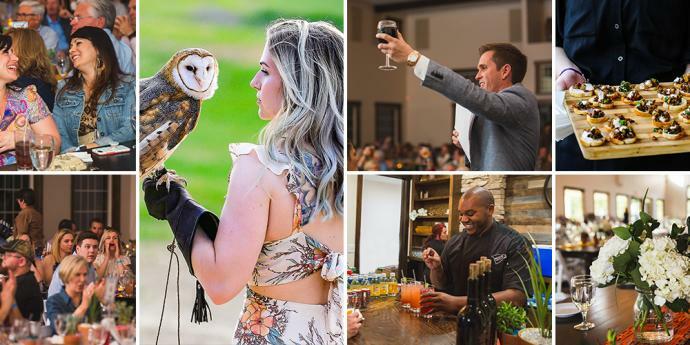 Then 2019 is the year to support one of the hottest events in Charlotte - Carolina Raptor Center's Talon to Table. Not your typical black tie gala, this year's island theme suggests that you kick off your shoes, don your linen shorts and enjoy the evening sipping rum. This farm-to-fork event features an island themed family-style feast from Roots Catering. The pre-event reception will feature cool jazz and raptor tableaux at the Elder Gallery. Last year's event attracted more than 350 people. This year we've moved to Beau Monde in order to accommodate almost 400. But that doesn't mean you should wait to reserve your spot!